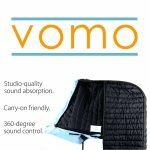 VOMO is a new portabe vocal booth designed, manufactured, and retailed by one of our clients, VocalBoothToGo.com. 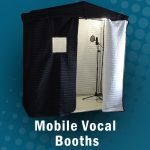 This new vocal booth had such stand-out features that it required its own branding campaign to elevate it above the competition. Virbion was tasked with developing a brand image, website, and multiple videos in support of the marketing agenda.